In the world of fitness and nutrition it seems like every other day we are inundated with new information. We hear everything from the scientifically sound to the wacky and absurd. As a matter of fact there seems to be so many thoughts and ideas out there, it is hard to discern between what is good and what is not. Some information may sound good in theory or on paper but sometimes just does not have practical applications. While other information may sound way too out there to be true but actually has some merit. While some nutritional ideals may sound good they just don’t hold up. Next we will look at four nutritional statements and how they are lacking in those concepts. This is a fitness ideal that is definitely flawed. If your goal is optimal fitness, then proper vitamin and mineral supplementation should rank pretty high on your list of fitness must do’s. Vitamins and minerals are quite important to the human body. Vitamins and minerals help support many bodily functions like growth, energy production, boosting recovery, and aiding in metabolism of nutrients. The fact is if one does eat “perfectly” then yes a person can aquire all the vital nutrients they need from food. While food has and always will be the best source of vitamins and minerals, acquiring the needed amounts of vitamins and minerals from food alone is quite difficult if not impossible for some. Here is a simple fact; most people just do not eat as well as they think they do. Fact is most people are pretty far off from “perfect” when it comes to healthy eating. Generally I find when someone says they are eating well, they generally are making healthier choices but always seem to be lacking in some vitamins or minerals they should be ingesting on a regular basis. Now just think about the people that are not eating so “healthy” and the vital vitamins and minerals they may be lacking. Since most vitamins and all minerals have to be acquired through your diet, if your diet is off so will your vitamin and mineral intake. Another thing to consider is people with specific nutritional needs such as food allergies or socio- nutritional choices like vegetarians. By having specific food needs you may be lacking in certain vitamins and minerals and not even realize it. A good multi vitamin with minerals taken once or twice daily is a great way to insure your getting at the very least the recommended daily allowances of vitamins and minerals. 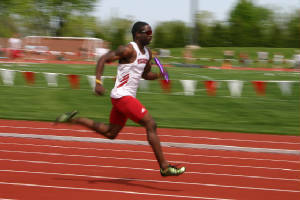 For athletes and fitness enthusiast it is even more vital to have proper vitamin and mineral supplementation. Athletes and fitness buffs are constantly stressing their bodies. When the body is constantly stressed oxidative damage can occur. A good way to take care of oxidative damage is by using antioxidants. Antioxidants are specific vitamins and minerals that savage oxidative damage and keep the body functioning optimally. 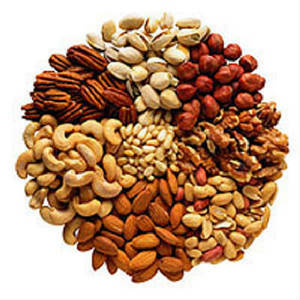 The antioxidant requirement for athletes will be higher than the recommended daily allowance. A second reason vitamin and mineral supplementation is important for an athlete is because of electrolyte loss. Electrolytes help balance the body’s hydration, nerve function, blood acidity, and muscle functions. When electrolyte balance is off, athletes and fitness enthusiast can be affected in varying degrees. Effects can range from slightly diminished performance all the way to death. Minerals such as sodium, potassium, calcium, and magnesium are all electrolytes and vital to the electrolyte balancing process. Since active people are constantly diminishing their electrolyte stores, supplementation is a great way to keep your stores up and their bodies in balance. This is a very “old school” gain some weight method. I often see this recommended to skinny guys wanting to gain weight and add some muscle. The drink a half gallon of milk nutrition program is also usually accompanied by some sort of squatting or heavy lifting program. 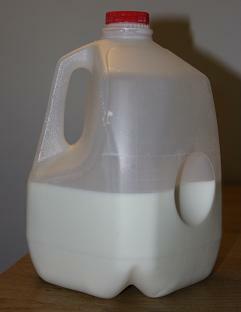 Will drinking a gallon of milk work for gaining weight? The answer is yes it will work but it does not mean it is the best option. The first thing a person should look at when striving to add calories to their diet is what type of calories are they addding. If simply gaining weight is your goal than the half gallon a day program will work. Now if you’re looking to gain some quality weight, there are better options out there. This to me is one of those “great in theory” but really not practical or efficient ideas. First let’s look at the nutritional breakdown of a half a gallon of milk. A half gallon of whole milk contains 64 grams of protein, 104 grams of carbs, 64 grams of fat, and 1173 calories. The numbers for whole milk are used because that is the type of milk recommended on the program. The main goal of the half gallon a day program is adding a good amount of calories to your diet. The problem is since the half gallon program is usually for gaining muscle, it is not the best distribution of calories. If your goal is adding muscle, you want a minimum of 1 gram of protein per pound of bodyweight. The half gallon of milk program will only give you an additional 64 grams of protein to your diet. That 64 grams works out to be less than two cans of tuna added to your diet over the course of a day. By supplementing a protein powder or mixture of protein powders in your diet you could get more overall protein in your diet. The main protein in milk is a slow digesting protein called casein. Casein makes up about 80% of the protein in milk and whey protein making up the other 20%. 1 (36 gram) scoop of casein protein will give you 24 grams of protein. If you used 3 scoops of casein daily you would be getting 72 grams of quality protein which is still more than a half gallon of milk would provide you. Another problem with the half gallon program is pricing. On average a half gallon of milk will cost you about $2.50. Over the duration of the program (one month) that will cost you around $75.00 a month. With $75.00 you could buy yourself a good amount of nutrient rich foods. If you want to still try a liquid nutrient bulking program, a 2 pound jug of whey and 4 pound jug of casein would end up costing you less money with better health benefits. A final thing to consider is if you are even slightly lactose intolerant, drinking that much milk will cause way more discomfort that benefits. Expect stomach discomfort, bloating, cramping, and frequent trips to the toilet as side effects of the half gallon a milk program. Instead of opting to try and drink a ton of calories to gain weight, focus on taking in more quality foods to get your calories. Milk in moderation is always a good thing but taking in massive amounts of milk everyday to quickly gain some calories may not be as beneficial as it sounds. This is another bit of back-assward thinking to me. First off let me start by saying I am a big believer in supplements and think some do a great job when the application and protocol is right. It still surprises me to this day when a new or would be client comes in and wants nutritional help, has no idea about a proper nutritional plan but has the most detailed supplement plan ever. What a lot of people fail to understand is that supplements are exactly what their name states, sup-ple-ments. They should be used to supplement what you are already doing right in your diet and not make up for what you’re doing wrong or not doing. I think a lot of people tend to forget this and also think this is why some people get disheartened with supplements when they don’t create some magic transformation or outstanding results. 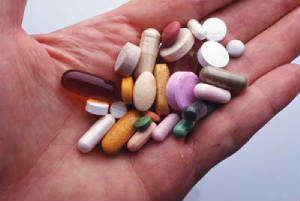 A general rule of thumb should be if your not eating correctly in the first place do not worry about taking supplements. I do feel there is one exception to this rule and that is when it comes to the use of a multivitamin and mineral supplement. Like I stated earlier, a good multi can make up for some nutritional deficiencies. While most supplements are for enhancing what you’re doing, multivitamins and minerals are actually there to make up for what your missing. In other words don’t put your supplement bill before your grocery bill. Let me break the concept of dieting down as simple as possible. Take in a bit less calories and keep your activity level the same or increase it and you will lose weight. This is the basic concept of every diet less calories in more calories out. Whenever someone says “Diets don’t work for me!” they are not sticking to the basic concept plain and simple. Generally the problem is one of three things. 1. They are not taking in less calories. This can happen with a lot of dieters. Dieters won’t count their calories or macronutrient totals and end up taking in more calories than they think. Sometimes the problem lies in the food that the dieter chooses. They may not realize some of the foods in their diet are really calorie dense and end up eating more calories than they realize. Nuts are a great example of this. Two little tablespoons of Almonds will give you a whopping 164 calories. Sine two tablespoons is less than a handful for most, two or three handfuls and you could be well over 300-400 calories pretty quickly. Taking in less calories is all about knowing what and how much food you’re taking in. Portion size and moderation are two of the most important factors when trying to take in less calories. 2. They take the basic concept to extremes. Remember dieting in it’s most basic concept-“Take in a bit less calories and keep your activity level the same or increase it and you will lose weight.” The problem is some dieters take the basic concept to the extreme. They take the idea of taking in a bit less calories and turn it into take in a lot less calories. By not taking in enough calories the weight loss process does not happen. When the body doesn’t get enough calories it goes into starvation mode and begins to hold onto all the calories it can. Sometimes dieters put their bodies in starvation mode thru exercise. They may not want to eat less food so they decide to exercise to the extreme. The body still needs calories to exercise and by doing extreme amounts of exercise the body will not be able to get enough calories and will want to hold on to what it has. Another problem with the extreme exercising idea is if a person’s diet is not right to begin with, they won’t achieve the results they want. Extreme ideas and quick fixes never work and usually end up placing the dieter worse off than when they began. 3. They simple are not trying hard enough. This one is what I call the reality check for some. I am not talking about the person who does what they are supposed to do day in and day out and weight loss comes very slower than normal. I’m talking about the “ I say I want it but really don’t want to work that hard for it people” . Good solid fat loss takes time and effort. A good amount of weight loss is 1-2 pounds a week. 3500 calories is the equivalent to 1 pound of weight loss. If a person is looking to lose 10- 20 pounds, that can be anywhere from 35000-70000 calories and anywhere from 5-20 weeks of dedication. Unfortunately more often than not this is just too much work for some. Putting in time and effort means following in a good nutritional plan, exercising, and staying focused on your goal day in and day out until you achieve your desired results. The problem is a lot of people are just undisciplined when it comes to their nutritional and exercise plans. Theses are the people who skip or miss meals, skip exercising regularly, start and stop diet and exercise plans every few weeks, and often don’t stick to their calorie intake and then complain about not getting the results they want. They often say they don’t have the time or energy and that is why they can’t stick to a routine. The ironic thing is if they ate a little better they would have more energy. As far as not having enough time, who in life has enough time to do everything they want? With enough planning and organization though, people would be surprised with how much time they can come up with. It is ironic how some people always have time to go out and eat but don’t have time to focus on a healthier nutritional plan…that is not lack of time but lack of discipline! These are the same people who say “You just don’t understand how hard it is!” No one said it would be easy but good things come to those who work hard. While there may be a lot of information and theories out there about fitness and nutrition, not all ideas hold up. The next time you hear a nutritional statement or ideal make sure that it can hold up to a basic nutritional concept. By having a better understanding of these concepts a person may be able to make better judgments when implementing nutritional ideals and end up having better results.